There are notable figures that come out of every conflict, whether they do so standing upright or lying down. 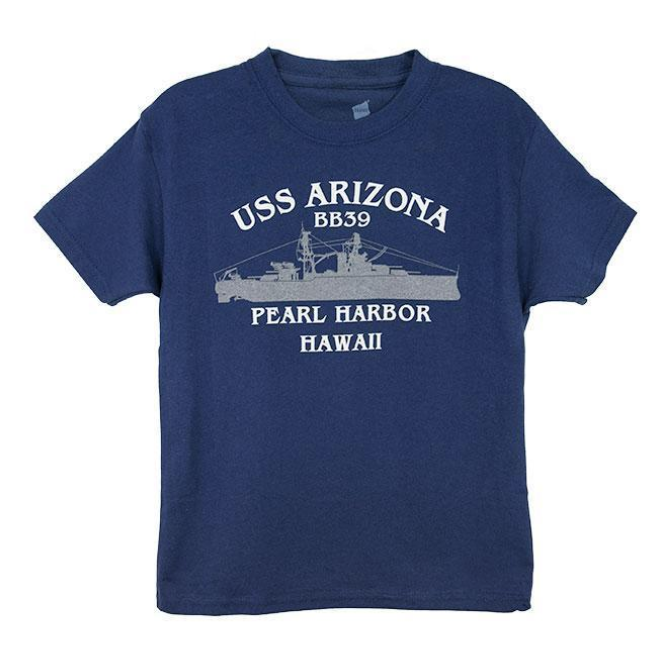 For Pearl Harbor, one such figure, a survivor against all odds, was Old Mary. By the time December 7th, 1941 rolled around, Old Mary—otherwise known as Fighting Mary—was only 20 years old, having started her service in the United States Navy in 1920. For 20 calm years, Old Mary saw no battle and engaged no enemy. Mostly, she just took part in a variety of naval exercises. Then 1940 came and a change was made that would put her squarely in the sights of an unexpected enemy. Officially known as the USS Maryland (BB-46), to the survivors of the Pearl Harbor attack and those interested in the history surrounding the 1941 event, she’ll always be “Old Mary,” a Colorado-class battleship that, in 1940, was added to the fleet of battleships stationed at the American naval base. Prior to 1941, the Maryland had mostly been used as a ceremony ship, making appearances at naval academy graduations, anniversaries of prior battles, and celebrations of the country’s independence. 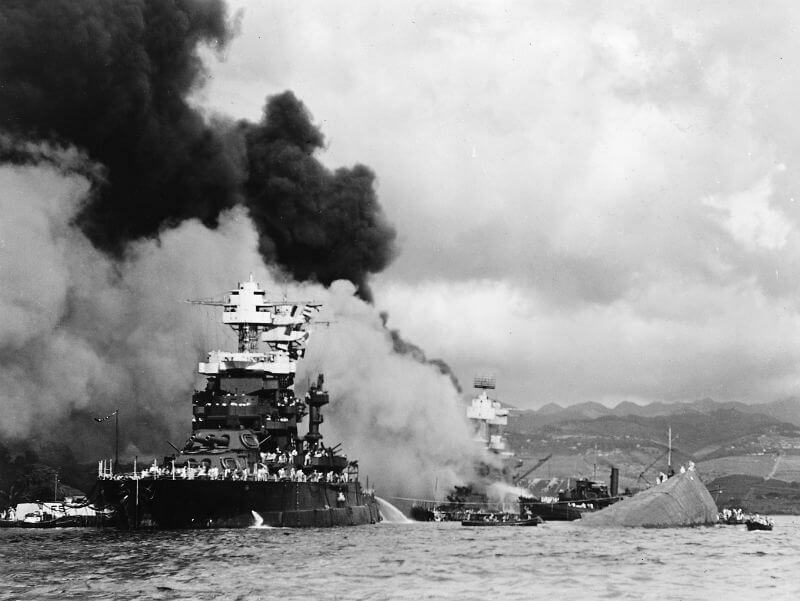 At 0755 on the morning of Sunday, December 7th, 1941, all of that peace she knew was abruptly shattered as a fleet of Japanese fighters and bombers broke the quiet and started an assault on Pearl Harbor. At the start of the attack, the Maryland was positioned along Battleship Row with the USS Oklahoma on her port side, keeping her shielded from the initial attack and giving her crew the chance to man her antiaircraft guns. As the sailors of the Maryland—many of whom were only an hour away from enjoying shore leave—fired on the incoming bombers, the Oklahoma was struck and quickly capsized. The surviving crew rushed to the Maryland, but wouldn’t find much reprieve there. With the Oklahoma out of the way, the Maryland became a target and was struck by two armor-piercing bombs. Her hull was ruptured and water rushed in, threatening to flood the vessel, but her crew kept firing on the Japanese fighters. Miraculously, the Maryland was still afloat when Japan finally pulled back and, despite her own damages, her crew rushed to the aid of the Oklahoma. Back in Japan, the damage report claimed the Maryland had been sunk, but the reality was the vessel suffered the loss of four crewmen and 23 days after the attack, was already being repaired. In June of 1942, outfitted with upgraded equipment and weaponry, the Maryland became the first vessel damaged at Pearl Harbor to return to duty. Over the course of World War II, she took part in the Battle of Midway by protecting the western coast of the island, guarded the islands of Fiji against the Japanese, and, in October of 1943, was made the flagship for Rear Admiral Harry W. Hill’s V Amphibious Force and Southern Attack Force. Her assignment was the Gilbert Islands, where she took part in the Battle of Tarawa. The Maryland continued on, joining the efforts in the battles of Saipan, Leyte Gulf, Kwajalein Atoll, and, finally, Okinawa. After assisting in ferrying thousands of servicemen back to the United States after the war ended, Old Mary was eventually decommissioned in April of 1947 and eventually sold for scrap in 1959. Though Fighting Mary may be gone, a monument was constructed on the Annapolis, MD grounds to remember the ship’s efforts and her crew’s courage during the war.